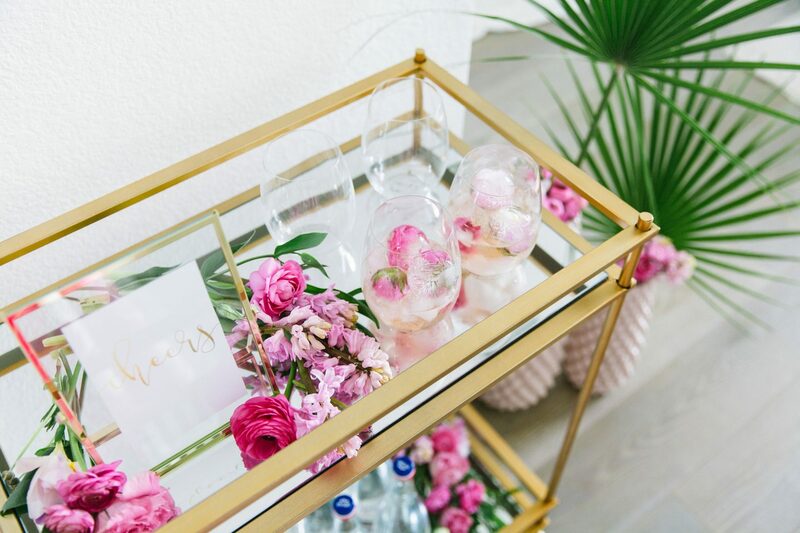 If I had to name one home décor item I have been lusting after, since Pinterest and Instagram became major influencers of décor inspiration for me, it would be a fabulous bar cart! Gold of course. 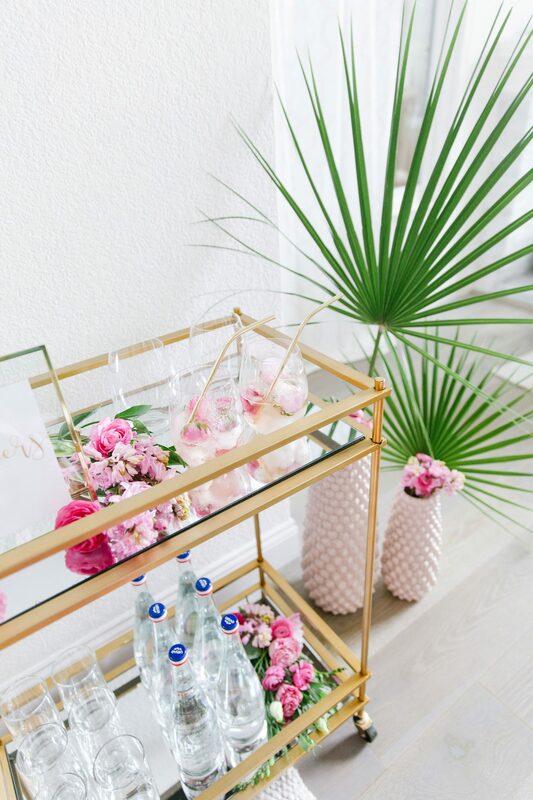 This cute touch of glam started popping up on my radar a few years ago, and I’ve wanted to buy a gold bar cart ever since. As we recently finished our dining room remodel, this would be the final finishing touch for the room! I headed to Stage to begin my search for the perfect bar cart and what do you know, 20 seconds later I already found “the one”. Eek! Definitely thought it would be a longer process, with my picky taste, which usually leads me to endless hours of scrolling. 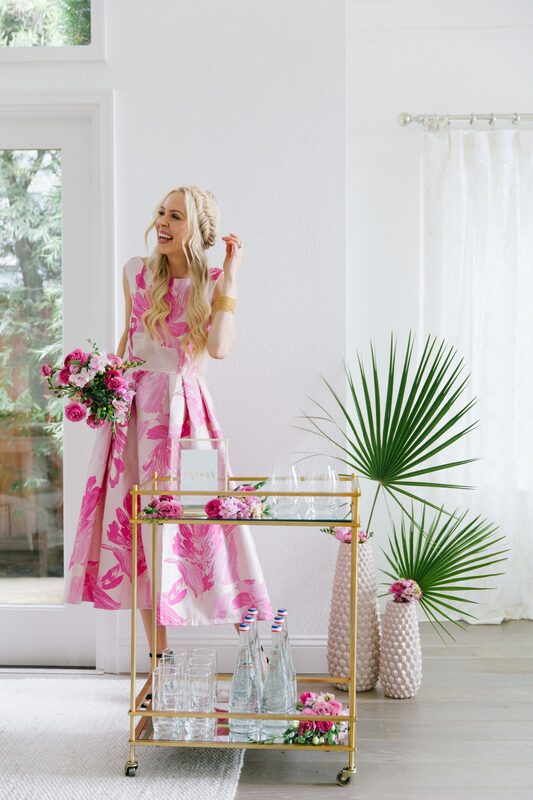 I knew I wanted a classic design, which would not look dated in a few years and also let me get a little wilder when it came to styling the cart for different parties. 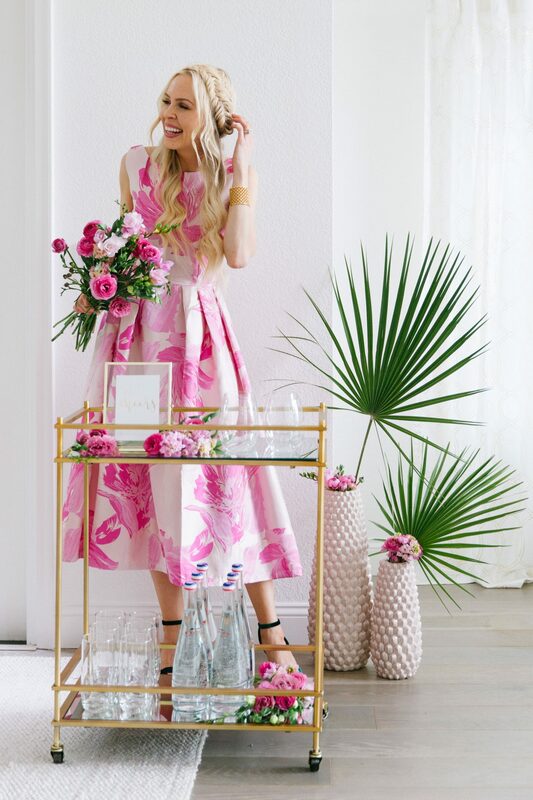 I also didn’t want to break the bank, and that’s where Stage’s countless affordable options always make it a go-to site for me whether searching for home décor, accessories or virtually any other item. The Stage bar cart arrived in all its gold glory and I could hardly wait to get to work, making it look fabulous! 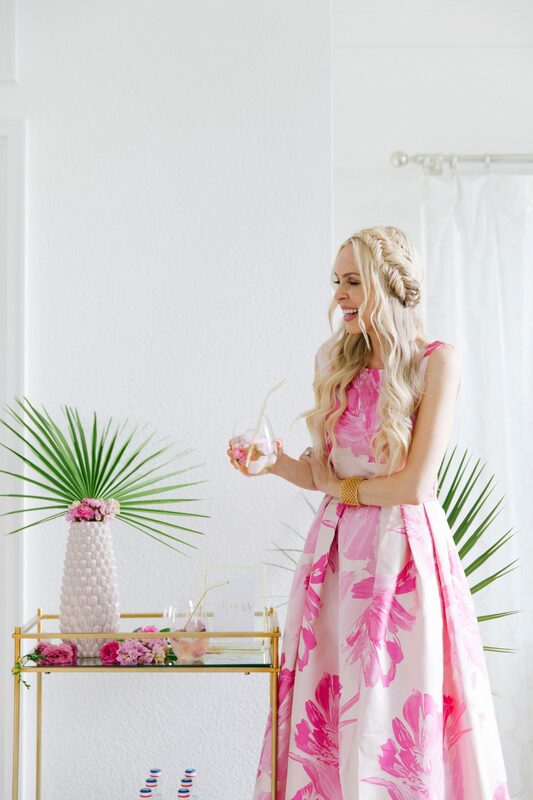 I wanted to create a tropical spring party look. Bringing those Hawaii vibes home with me! 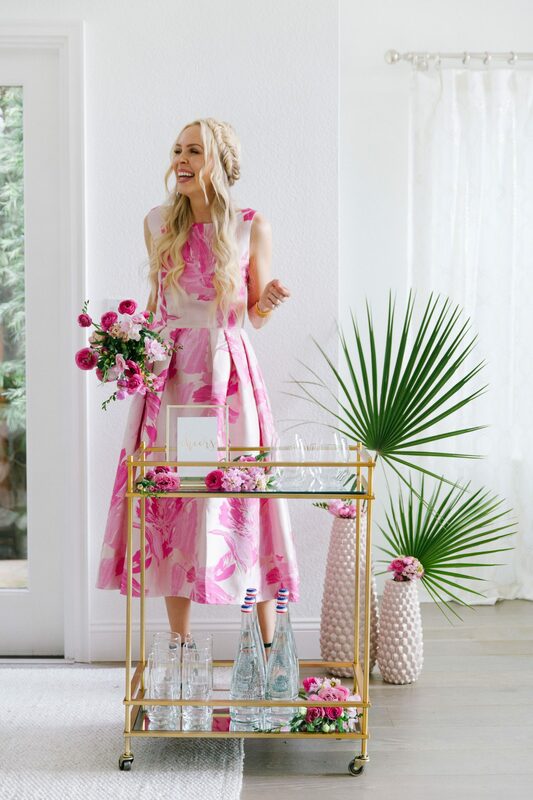 These two blush vases were such a good fit for adding a touch of texture and I can use them with so many flower and leaf décor variations for seasons to come. My other favorite touch is this simple gold frame. I printed a “cheers” graphic to add a little festive touch to the cart! Now it was time for my favorite part, flowers! In my opinion flowers bring any party to life and set the mood for the event. Plus let’s face it, I just love them and look for any excuse buy some fresh blooms. I’ve learned over the years that you really don’t need a ton to make a space come to life. 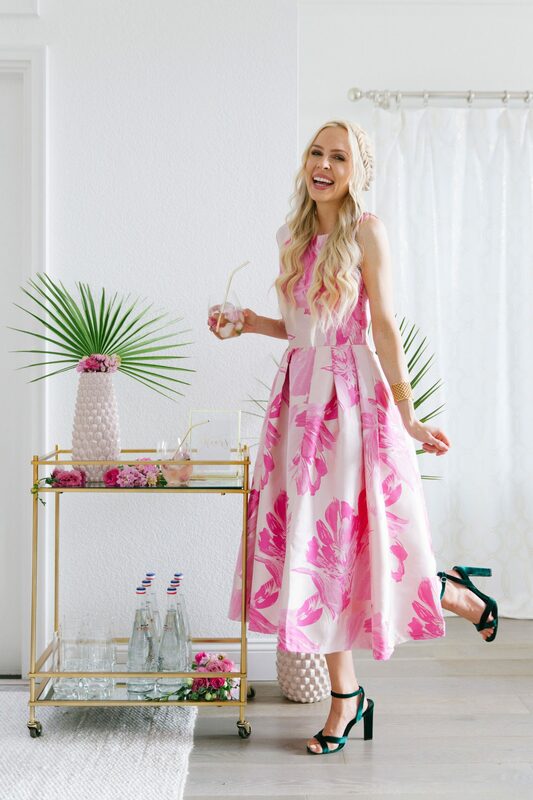 I used 4 bunches all together for this look plus the two palm leaves, sparing a few flowers to make some festive spring ice cubes. Literally the easier, least expensive thing you can do, and it will get the most amazing response at your party! I like using classic glasses like these to make flower ice cubes, to really let the cubes be the attention grabbers. Pro tip: place your flower in first, then fill the ice tray. 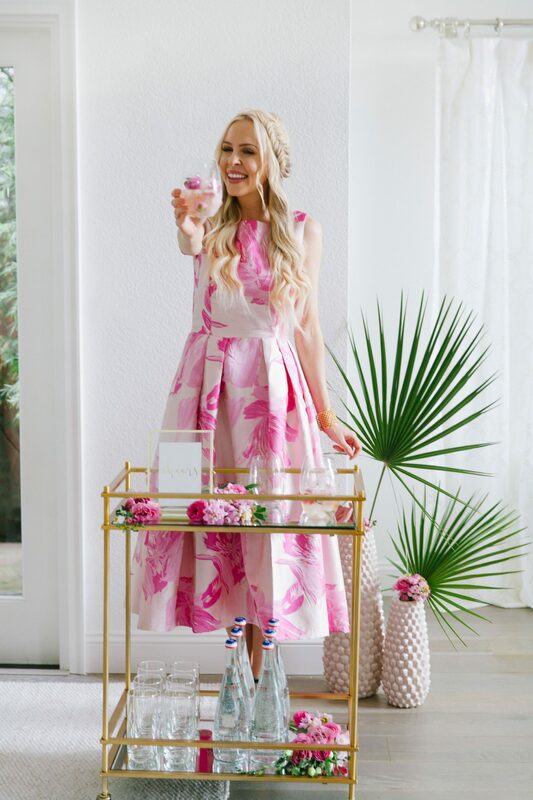 Add a gold metal straw, and you’ve got the trendiest glass of rose around for your guests! 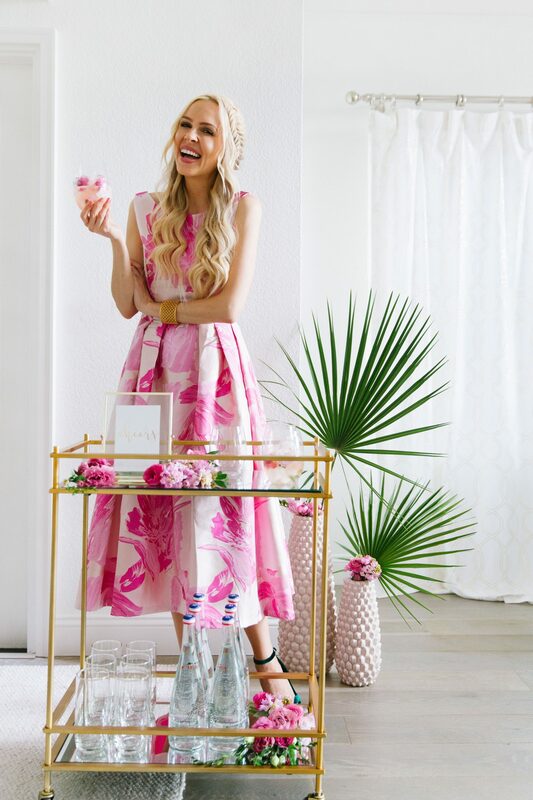 I’m looking forward to lots of spring and summer parties with our new bar cart and party accessory! Can’t wait to share the next one with you guys! Aloha! 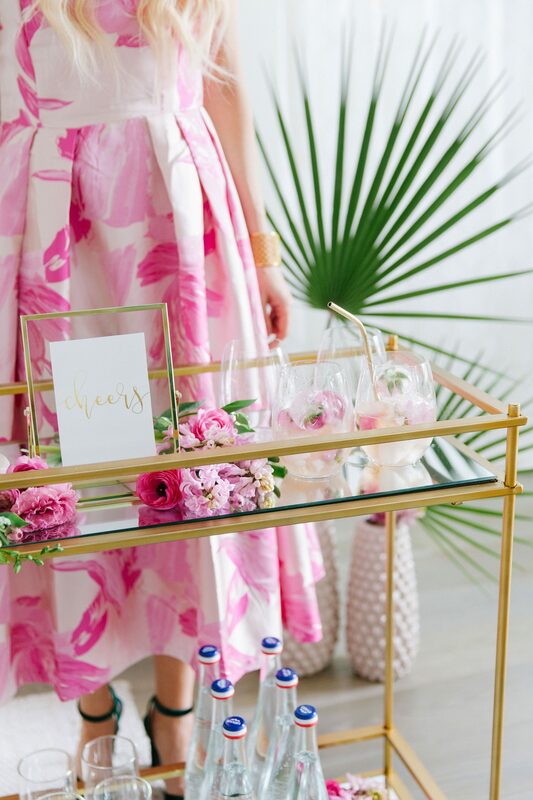 Thank you Special Retailers Inc for partnering on this bar cart post! 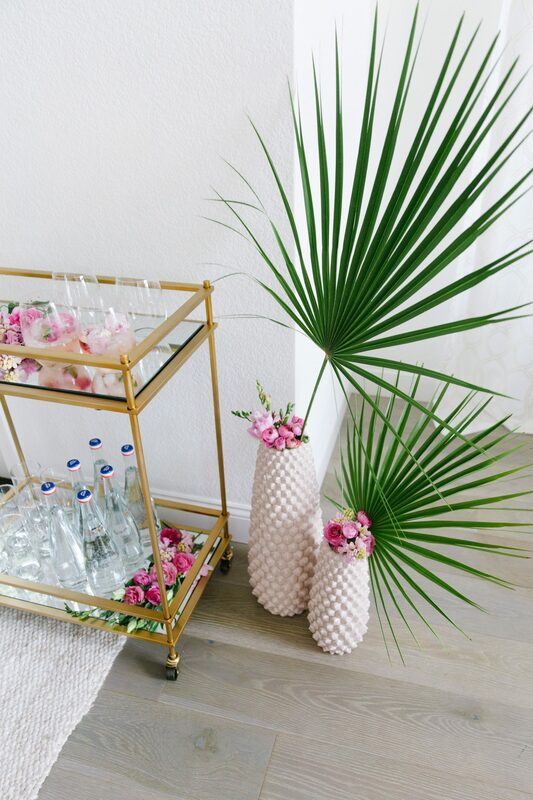 PS: Loving this bar cart? Click here now for more of our living room decor!